Hey there, ladies and gents! Today, I’d like to take a stroll down memory lane, with Evoland. That name might sound familiar to a few of you – it should. 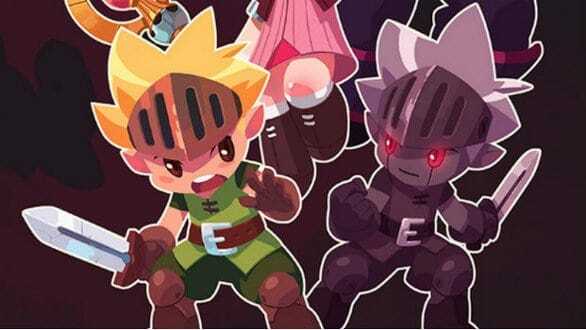 The original title – now known as Evoland Classic – was developer Nicolas Cannasse’s entry in the 24th Ludum Dare competition – a 48-hour game jam where individuals and teams are challenged to toss together the best title they possibly can based on a particular theme. Evoland Classic, described as “a time lapse of early action RPG history,” had a very simple premise: as the player wandered through the world, they could collect chests which would unlock new gameplay features, mechanics, and art designs; mirroring the ‘evolution’ of the genre in its earliest days. It’s easy to see why Canasse and his fellow devs took home first. The game, though short, felt incredibly polished, and the premise was both fascinating and unique. After the title reached over 300,000 players in just a few short months, the development team at Shiro games decided that there might well be a market for a deeper, more refined version of their (comparatively) slapdash entry. Thus, the concept of Evoland was born. The title- which recently passed through Steam Greenlight – retains all of the original’s ideas, and takes them to a much deeper level. Rather than simply focusing on Action RPGs, Evoland expands its umbrella to focus on the RPG genre as a whole, drawing inspiration from both the Zelda and the Final Fantasy series. Players can expect a blend of Zelda-styled top-down action and Final Fantasy-esque turn-based combat, with more features and mechanics becoming available as they advance through the game. The gameplay – like the original – is a fun callback to the old days of gaming, and the whole experience is both enjoyable and thoroughly nostalgic. Where the game actually shines, however, is in the writing. No, the plot isn’t particularly intense or unique – and that’s the fun of it. Evoland is a game that doesn’t take itself even the least bit seriously, and over the course of the game will poke fun at virtually every single RPG trope in the book, all while switching seamlessly between Action RPG and Turn-Based RPG, with Diablo-esque dungeon crawling action taking the helm in later segments. The evolution is integrated in such a way that it feels like it naturally progresses alongside the story and gameplay – one puzzle even involves swapping between different eras and graphical styles. Even better, anyone who grew up with old-school RPGs will find the title is positively teeming with references to pretty much every single one of the most popular RPGs of past eras. Thus far, I’ve been able to pick out Final Fantasy 6 and 7, several different Legend of Zelda titles, Chrono Trigger, Secret of Mana…you get the idea. Canasse and his team clearly love the titles they’re riffing on. As for the soundtrack and art design, both are actually…pretty easy on the eyes and ears. It’s particularly interesting to see how the two evolve side-by-side as the game progresses, and as frustrating interface issues and minor glitches are smoothed out by the discovery of new mechanics and features. It’s particularly amusing the similarities so many of the characters share with iconic protagonists from titles past. My only gripe thus far is that the Steam version of the game seems to have a few issues playing nice with the overlay, and I’ve noticed a few intermittent frame-rate glitches here and there. Other than that, though? The game’s polished, entertaining, and looks positively grand. In short, if ever you were a fan of Role-playing games from the 8-bit or 16-bit era, you’ll love Evoland. Hell, if you gain any enjoyment at all from either Action RPGs or Turn-based RPGs, pick it up and give it a try. It’s only $10.00, and it’s completely DRM-free. Nab a copy for yourself here.